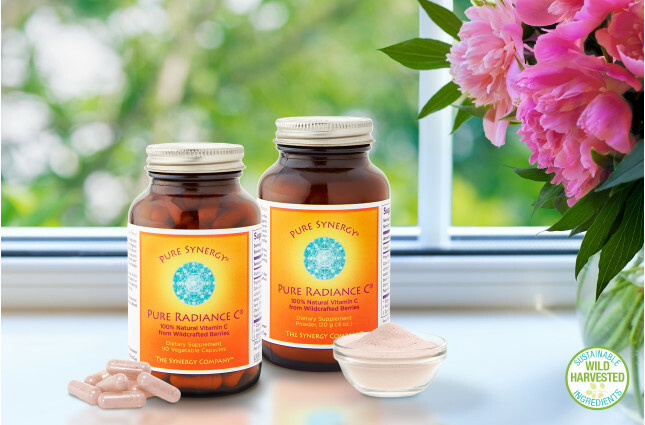 Pure Radiance C unites wild-harvested camu camu and organic acerola with antioxidant-rich organic berries and fruits to yield a 100% natural form of vitamin C.
This best seller is bursting with the many health-enhancing phytonutrients and co-factors that accompany whole-food sourced vitamin C. Non-acidic, free of corn-derived ascorbic acid, and perfectly pure and whole — just as nature intended. 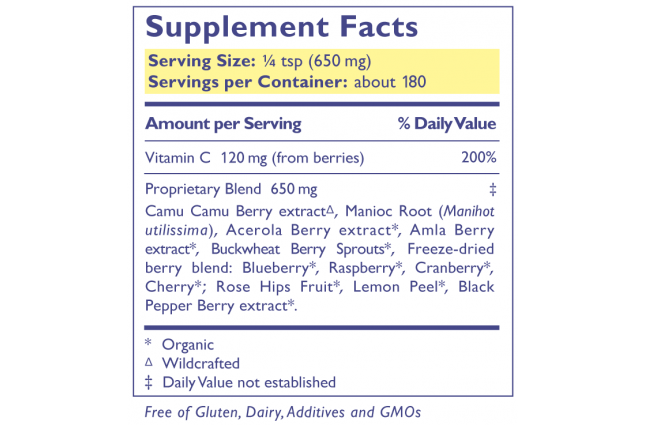 Natural, food-form vitamin C provides your body with much more than just ascorbic acid. 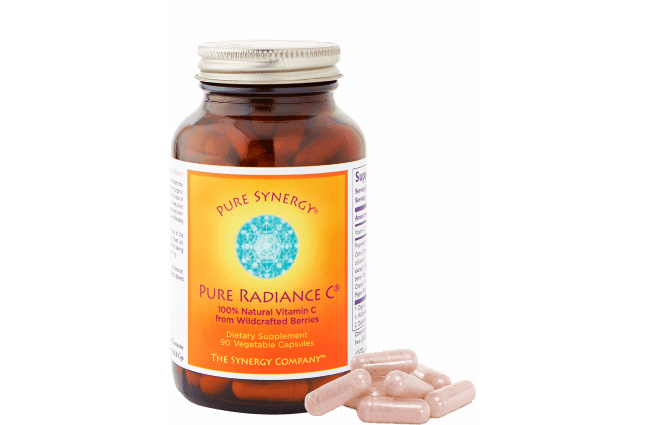 For example, our bodies require many of the phytonutrients and compounds that only accompany natural vitamin C (flavonoids, flavanols, polyphenols, carotenoids, lignans, and many more) to manufacture collagen, which is the natural glue that holds your skin, bones, and body together. 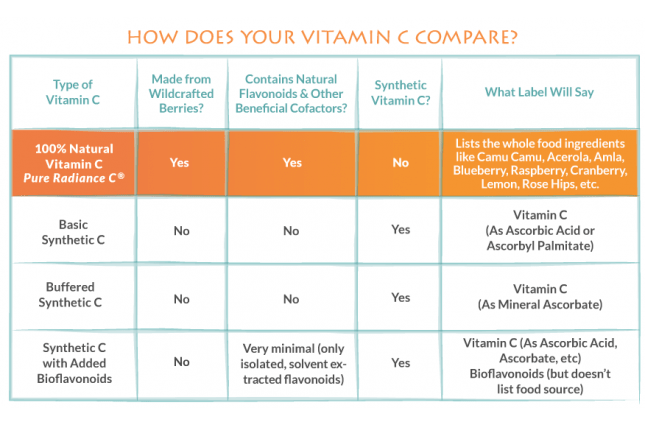 Synthetic, isolated ascorbic acid does not provide all the pieces of the puzzle required to manufacture not only collagen but so many other important compounds as well.